My new name is Janina Kruk. 2014 and I am back! Visit with Cousins. Today we will visit with family of my Grandmothers sister Kamila. We began the day at Marian house. His mother is Sophie who we visited yesterday. (She was married to a son of Kamila). My new name is Janina Kruk. 2014 and I am back! Lithuania. Today we will travel to Lithuania with Antoni to visit with another cousin and his wife. They live in the town of Wisztyniec (or Vistytis in Lithuanian), which is less than 20 minutes from the border of Poland. On the way to Antoni’s house, we stopped at the area were Poland, Lithuanian and Russian meet. See picture. The Russian sign clearly states, “Visitors no pictures.” After a few pictures on Poland and Lithuanian soil we were on the way to Lithuanian. My new name is Janina Kruk. 2014 and I am back! Suwałki. Today we have changed our plans since Halina is in the hospital we will leave Ostroleka returning later in the trip. After breakfast we drive to Suwalki to visit with my grandmother’s side of the family. We drove from Ostoleka thru Augustow arriving Suwalki . Our first stop was the church to check records hoping to find my Great Grandmothers birth records. The priest was very friendly agreeing to search for these very old records. He searched for only a few minutes finding a record he thought was my Great Grandmother. Zenon carefully reviewed the record realizing it was not my Great Grandmother. The Priest did not have more time to search however he would be available after mass at 1800. My new name is Janina Kruk. 2014 and I am back! Ostrołęka. Today Zenon arrived at 10 am to begin my 2nd journey of discovering my ancestors. 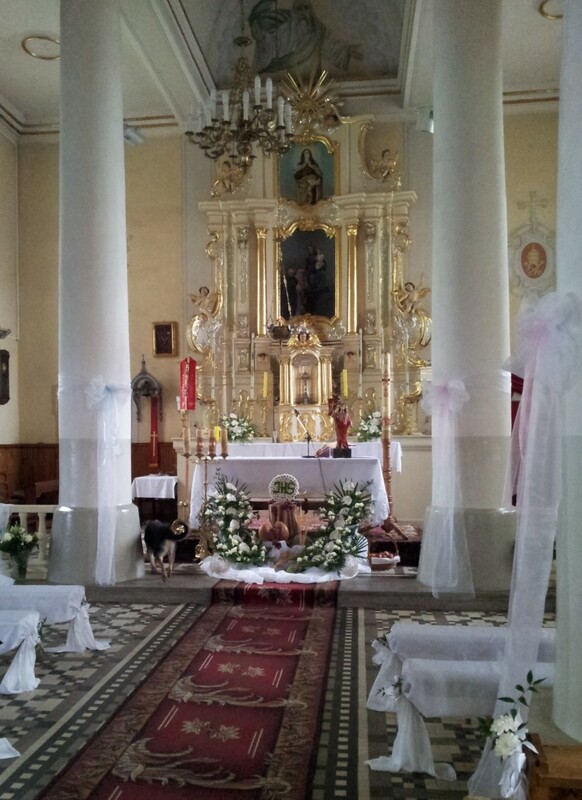 Our first destination will be Ostroleka to visit with the Kruk side of the family. On the way to Ostroleka Zenon called the Hotel Relax to book rooms only to find out they were booked. I was disappointed as on my first visit I enjoyed staying at this inexpensive hotel. We were finally able to find 2 rooms in the city. There were rooms available outside the city but I wanted to stay in the city. 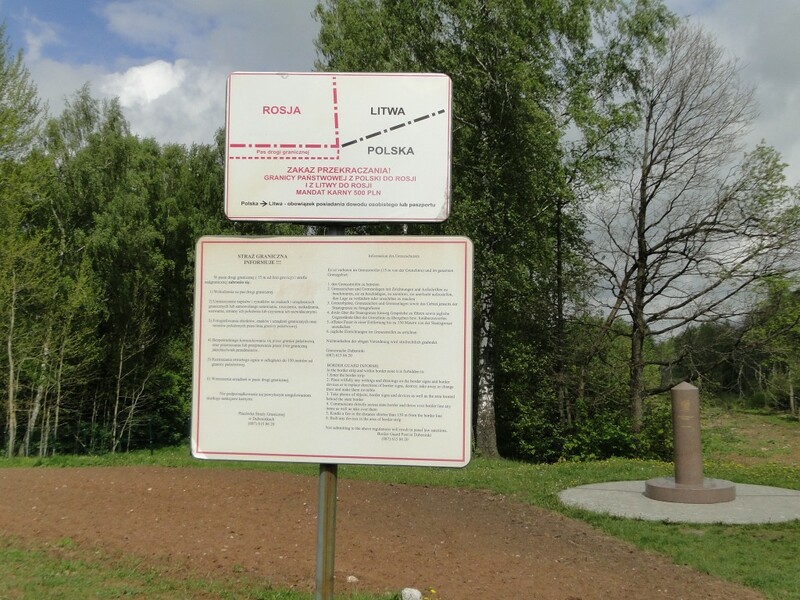 We arrived to Ostroleka in the early afternoon and went directly to aunt Halina only to find she was not home. I was concerned thinking, “I hope she is okay.” It was a Sunday possible she was visiting with her son. We checked into our hotel with the intention to return later to Halina’s. My new name is Janina Kruk. 2014 and I am back! Zakon Felicjanki Sisters?. Today is Zakon day, which means convent in Polish. 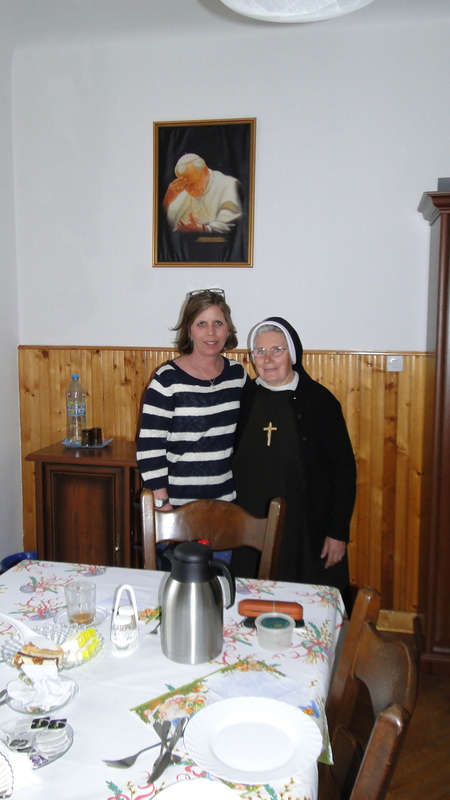 Today Zenon and I will meet for a few hours to visit with Anna’s a Felicjanki Sister residing in Wawer, Warsaw. I had sent a X’mas card informing Anna I would be arriving in May for a second visit. I decided to return to Poland because the relatives are up in age before the history is lost. My new name is Janina Kruk. 2014 and I am back! Day 2. My second day in Poland I awoke to day light around 5 am. The sun rises much earlier in Poland than in Ohio. I made my own breakfast of fresh: eggs, kielbasa, sausage and ham. I had purchased my breakfast items in the market the day before. After breakfast I walked to the Old Town market square, which was a 15-minute walk from my apartment on Tamka Street. I exchange dollars at the Kantor located at the tourist information shop in Old Town. This Kantor has good exchange rates. 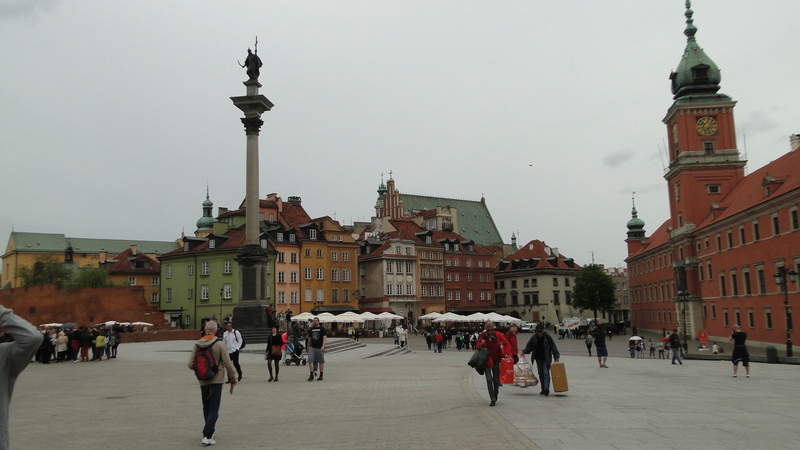 I then made my way to the Zygmunt Waza III statue in the center of old town to begin a free 3-hour walking tour of Old Town called, Orange Umbrella Tours. My new name is Janina Kruk. 2014 and I am back! Arrival to Poland. I am so excited to return to Poland to continue my ancestry discovery. When I walked outside the Warsaw airport, I was home again!! I left Chicago via LOT airline with direct service to Warsaw Poland arriving on Thursday. From the airport I took a taxi to Tamka Street to stay for 3 nights at Tamka Den. I stayed at the same apartment for a few nights during my last visit to Poland. This year the owner Aldona was in town and I had the pleasure of meeting her. My first day in Poland the weather was warm in the high 60’s with high humidity. I enjoyed walking around the city, shopping at the market & having a nice Polish dinner. I retired early the first evening because I had been awake for over 24 hours. My new name is Janina Kruk. Day 9. The last day :(. This morning I awoke to a beautiful day. I met Zenon in the lobby at 0830 which is the time we met every morning for breakfast. This morning we checked out of the hotel and drove just around the corner for our breakfast. After a nice breakfast we drove across town to visit with Halina. Halina was excited to see us as I was excited to see her. As soon as we walked into her home, Halina told Zenon she found a picture of Antonia Kruk, my grandfather’s sister. 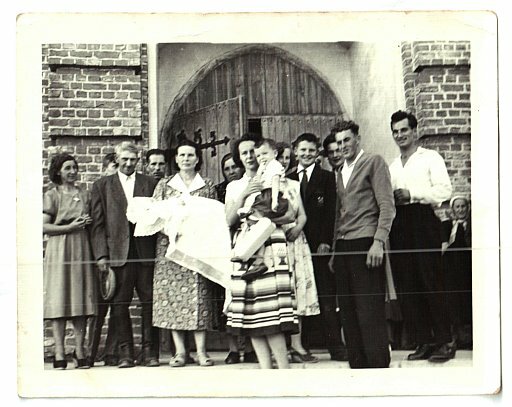 My great aunt Maria – hidden after her the woman holding child in the center. My new name is Janina Kruk. Day 8. Relaxation. After breakfast at the Hotel Hancza I took a stroll through Suwalki while Zenon continued to work on the computer searching records. Before we departed Suwalki we stopped by the Archive building to search for the marriage record of my great grandparents Antonia and Leon. 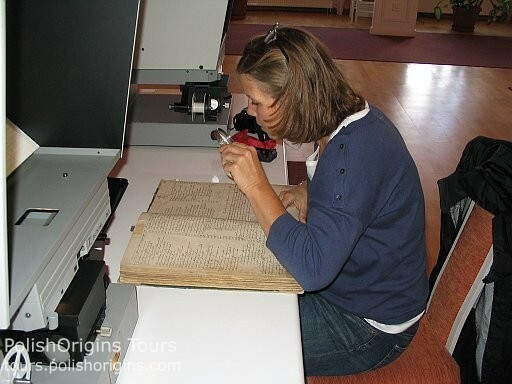 In the Suwalki State Archives. My new name is Janina Kruk. Day 7. An incredible trip to my grandmother’s land. During breakfast Zenon and the owners’ of B&B mother discussed Murawski side of the family. We learned about a Szylkowski family living in Wizajny. Szylkowski was marriage name of my grandmother’s sister Stefania. We left the B&B and rode to the Szylkowskis farm. I didn’t have any expectations if I would discover living relatives. We arrived at the farm we were warmly greeted by Jagoda. After short conversation we learned that this place was owned by grandson of Stefania Szylkowski nee Murawski! We then met Krzysztof, the owner of the original farm of Stefania and Wincenty. Krzysztof was amazed to see visitors in his kitchen. When he learned I was the granddaughter of Wiktoria Murawski he was so happy. During our conversation we learned Antoni, Piotr and Anna were still alive. In the letters I have, it tells briefly about their live as children. Jagoda telephoned Antoni, Stefania’s son, that Wiktoria’s granddaughter was at their house. Antoni informed Jagoda that Anna, his sister, was still at the farm. Anna had been visiting Jagoda the week before and had extended her stay to visit longer with her brother Antoni. I was surprised that Anna was still at the farm. 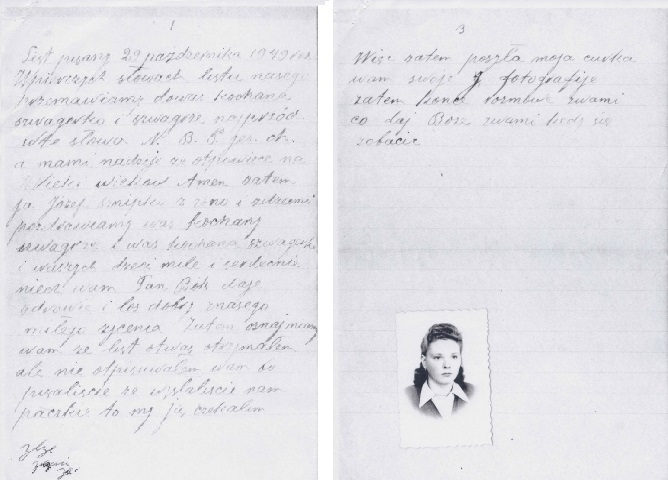 Jagoda even thought that Anna had returned to Warsaw Friday. Coincidence? I don’t believe in coincidences.